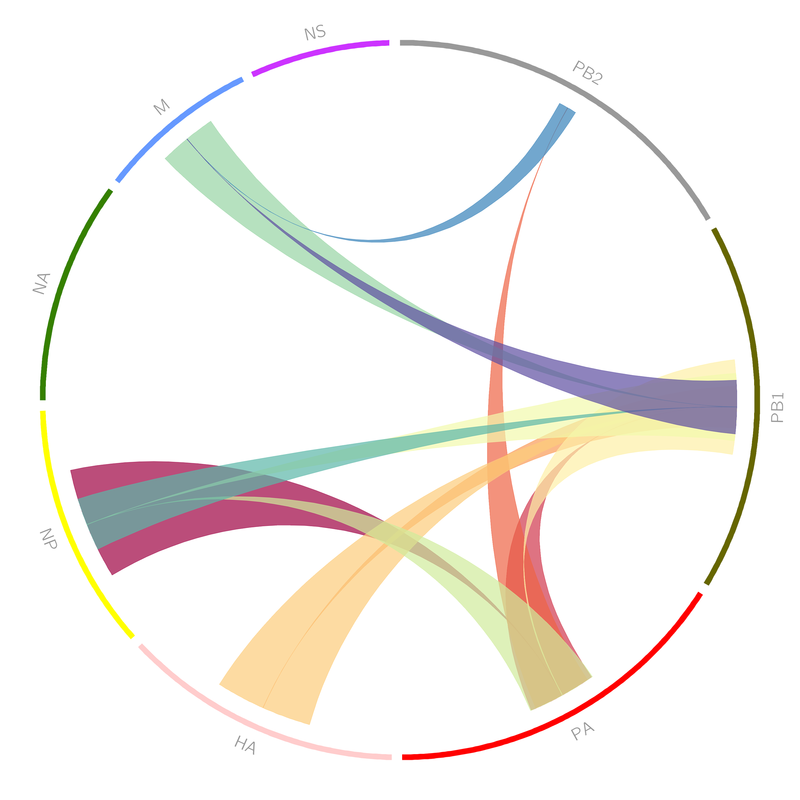 In influenza virus infected cells, eight viral genomic RNPs are assembled into progeny virions, which predominantly contain one copy of each. Regarding the virus, an important question had yet to be answered: What is the order of the assembly of all eight RNPs? Bob Murphy and Xiongtao Ruan collaborated with Dr. Seema Lakdawala from the University of Pittsburgh School of Medicine to address this question. Using sets of fluorescence microscope images of four vRNPs, they estimated the likelihood that the subcellular distribution of one vRNP can be predicted from the distribution of one, two, or three others. The cover of PloS Computational Biology’s January issue (pictured below) shows the significant pairwise relationships that were learned. 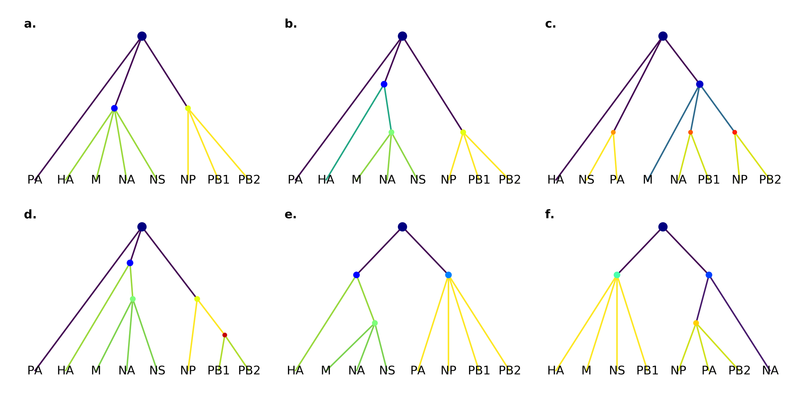 These pairwise and higher order relationships were used to infer the assembly network for all eight vRNPs. The article can be found here.